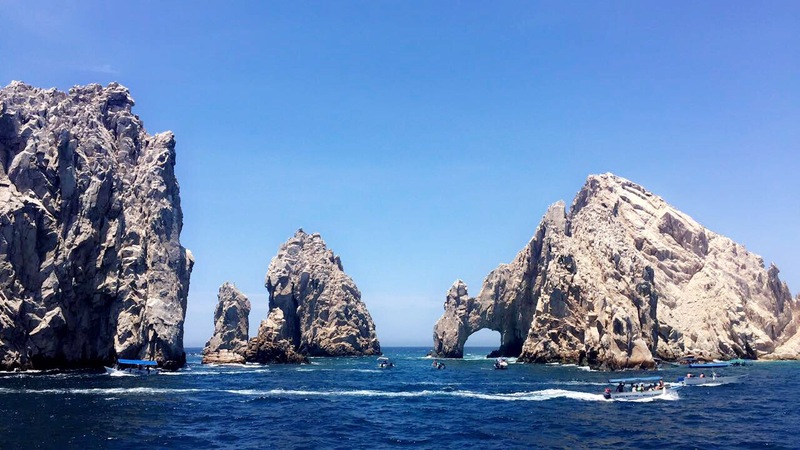 Waking up with the breathtaking sight of the coastal desert mountain ranges backed up by bright blue water for miles makes Cabo Spring Break a favored destination among American college students! The friendly town is centered around a well-populated marina, with activities for everyone to enjoy. Walk along the clear blue waters of Medano beach, one of Cabo’s only swimmable beaches, and you will see jetpacks, parasailing, jet skiing, and even the Tarzan boat–which is an aquatic jungle gym that stations close to shore! If you are looking to get out on the water and see the famous Arch of Cabo, grab a ticket for the Cabo Escape cruise. The three hour boat ride will take you past Lover’s Beach, stop for a quick photo op by the arch, and continue up the shoreline towards an area that is perfect for snorkeling. If you are looking for the day time party scene, you can also find this at Medano Beach. Four brightly colored beach bars draw you in making your hardest choice of the day which one you want to go to first! They are all side by side each other, so it’s simple to hop from one to another throughout the day. Located about a yard from the actual water, you will find most Spring Breakers hanging about in groups grabbing food and drinks while enjoying music and each other’s company as these bars get very crowded. 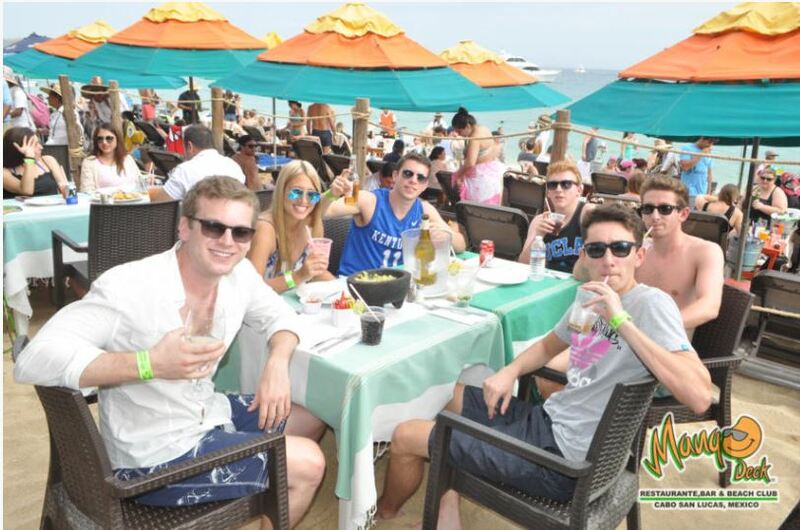 It is a great spot to meet other Spring Breakers from all over the world. Mango Deck, Billygan’s, The Office, and Omega open around 7am, making them a great option for breakfast, and the rowdiness comes to a close around 10pm. For the nighttime festivities, memorize one phrase: “¡Arriba, abajo, al centro, pa’ dentro!”. This is the equivalent of saying “cheers!” in the United States. The clubs around the marina tend to be smaller in size, very open to the outside air and have no cover charge, so feel free to “club-hop” until you find the perfect spot for you and your squad. The nightlife in Cabo is just as buzzing as the daytime, not to mention you have plenty of choices including Cabo Wabo, Giggling Marlin, Senor Frogs, Squid Roe, La Vaquita, Crush, the O, Mandala, and Pink Kitty! You may feel like the party will never end… until 3am hits and you’re headed back to your hotel to sleep it off and start all over again.